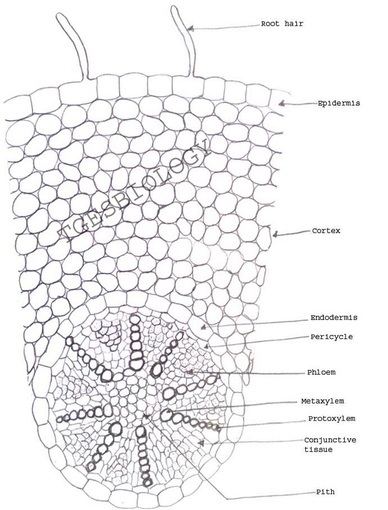 Aim: To prepare temporary stained glycerine mounts of transverse sections of stem and root of Dicot and Monocot plants. Material required: Sharp razor, brush, dropper, needles, watch glass, microscopic slides, cover-slips, safrannin, glycerine and compound microscope. Take 2-3cm long pieces of the material. Hold the material between thumb and first finger of your left hand. Hold the razor in the right hand with edge of the blade facing you and handle at right angle to it. Dip the top of the material in water. Then start cutting transverse sections as fast as possible in a watch glass containing water. Select the thinnest section of the material with the help of a delicate brush. Take a clean watch glass with water, transfer thin sections of the material. Put a few drops of saffranin stain in the watch glass with water. Leave it for 3-5 minutes. Drain off stain and wash with water if necessary. Put the thinnest section in the centre of the slide. Put a drop of glycerine over the material. Cover it with a coverslip with the help of needle. 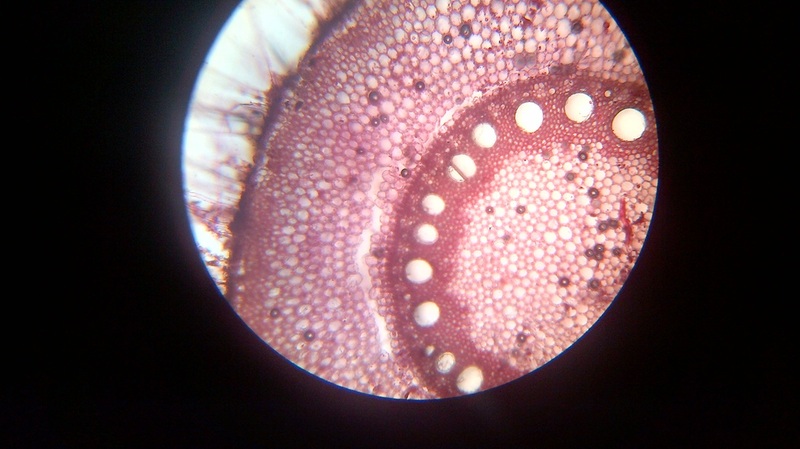 Observe it under a compound microscope after staining and mounting. Safranin is to be used to stain only the lignified tissues, over staining can be removed by washing in water. Air bubbles must be avoided in the sections. Use only brush to transfer or to handle the sections. Do not use needles for this purpose. Discard the incomplete and oblique sections. 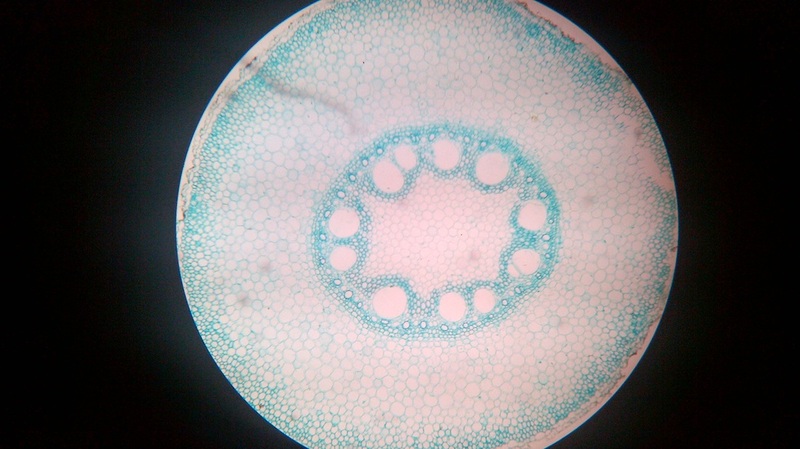 Inference: The given specimen is the section of dicot stem. 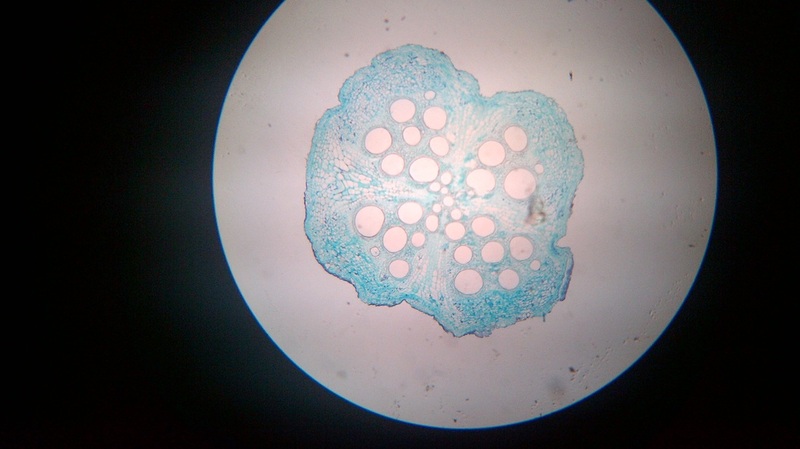 T.S of dicot stem as seen under microscope. 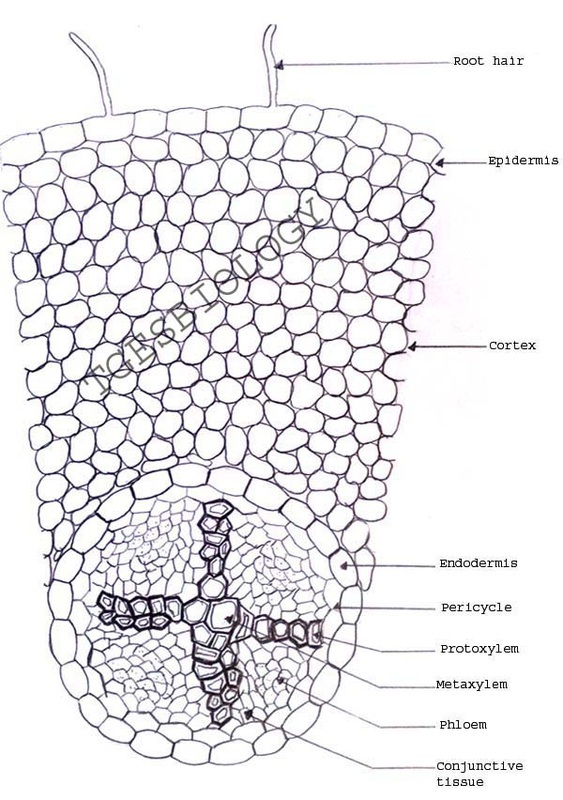 Vascular bundles are conjoint,collateral and closed, i.e cambium is absent. 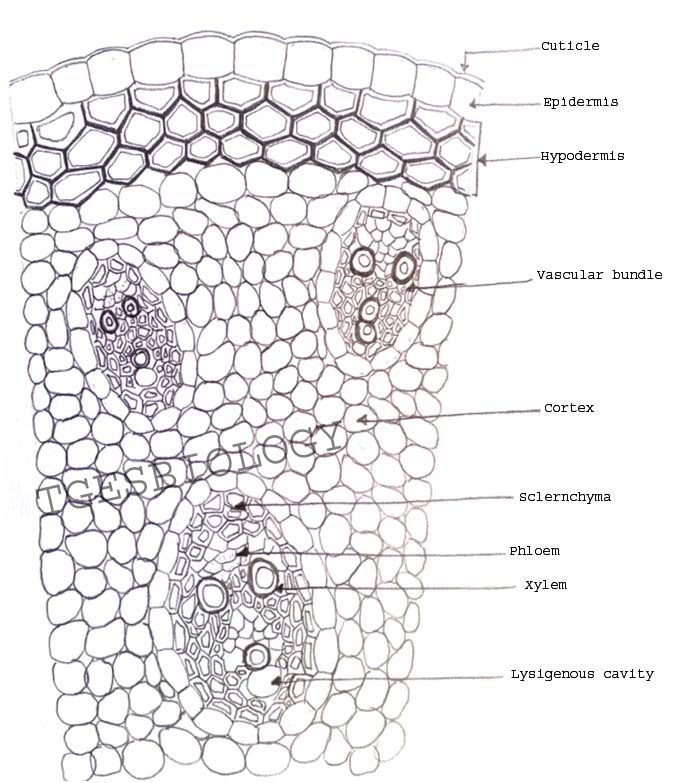 Inference: The given specimen is the section of monocot stem. 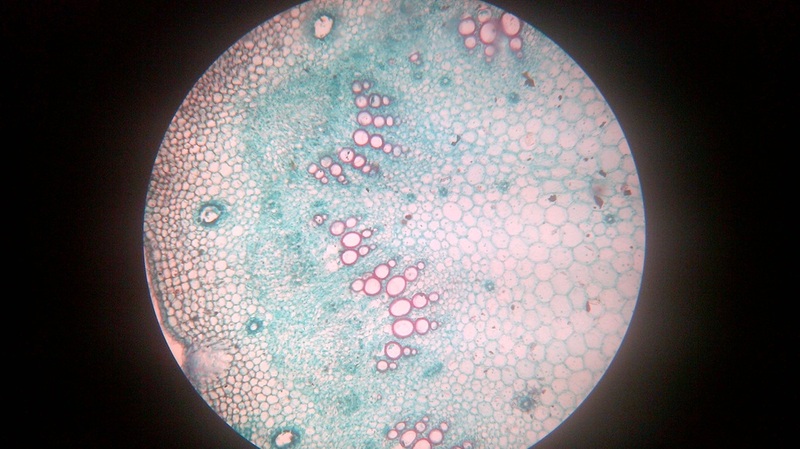 Inference: the given specimen is the section of monocot root. Material Required: Petri dish, glass slides, coverslips, microscope, needle, forceps, eye piece graticule, filter paper, pollen culture solution [prepared using boric acid, KNO3, MgSO4, (CaNO3) 2], 40% sucrose solution, flowers with pollen grains( e.g.evergreen/Catharanthus, Hibiscus, Lily etc.). 1. Place a filter paper in a Petri dish, moisten the paper with water and replace the lids. These will form chambers in which your slides of germinating pollen can be kept humid. 2. Take 5 cm3 of pollen culture solution in a test tube and make it up to 10 cm3 with 40% sucrose solution. This now contains 20% sucrose. 3. Take two absolutely clean microscope slides and place a drop of medium in the centre of each slide. 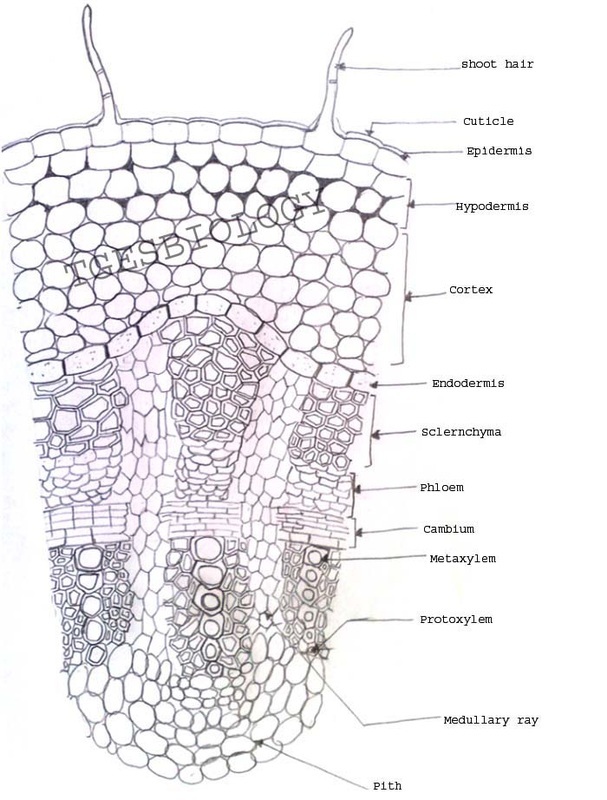 Label the slides with the names of the flowers you are investigating. 4. Gently rub the point of a mounted needle over the anthers so that pollen falls onto the drop of a culture medium. Transfer any pollen from the needle by tapping the needle against a pair of forceps. Put a coverslip over it gently. 5. Clean the needle thoroughly and repeat step 4 with other flower. 6. Note the time of adding pollen to the medium and place the slides in the Petri dish. Handle the slides with great care so that the drops of pollen medium remain in the centre of the slides. 7. 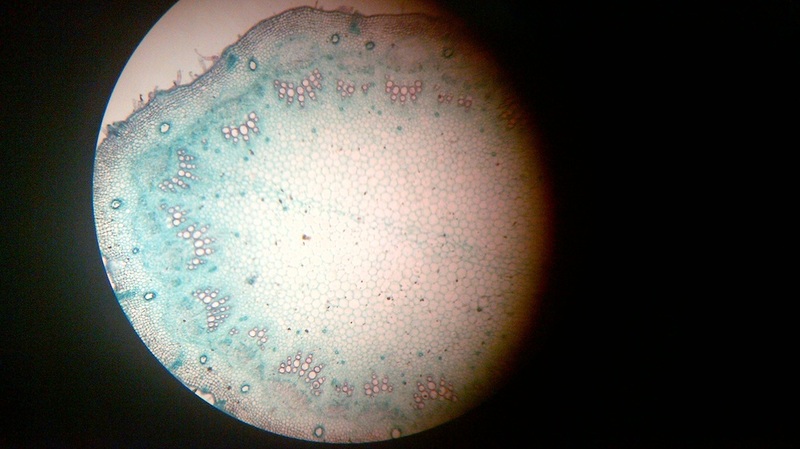 Use a microscope, with x100 magnification and an eyepiece graticule, to observe the slides over the next 15-30 minutes for signs of pollen germination. 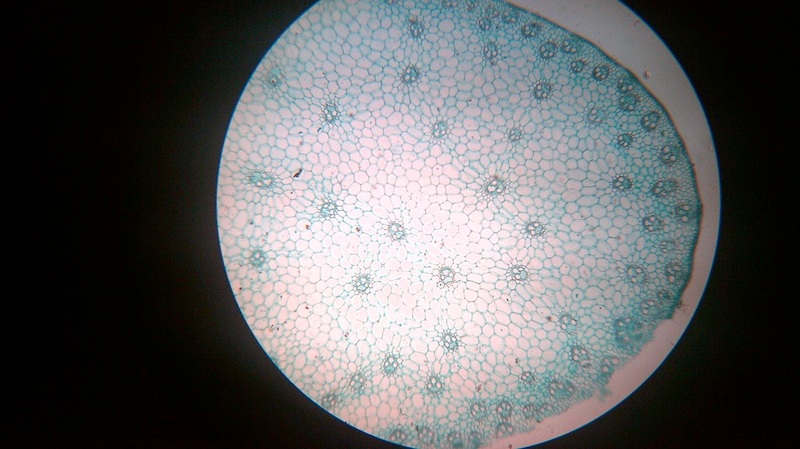 Between quick observations, turn the microscope lamp off and return the slide to the Petri dish. 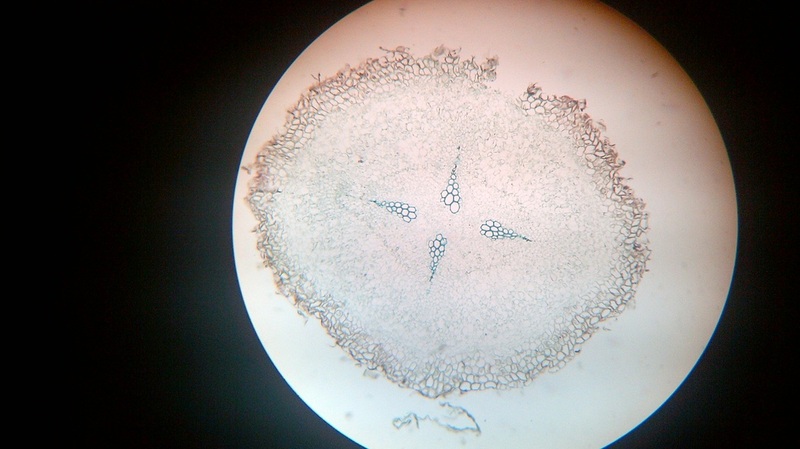 The viable pollen grains germinate in proper nutrient medium and show variable length of the pollen tubes. Dust few pollen grains on the slide to avoid overlapping. Label the slides properly for different flowers. There should not be any air bubble under the coverslip.